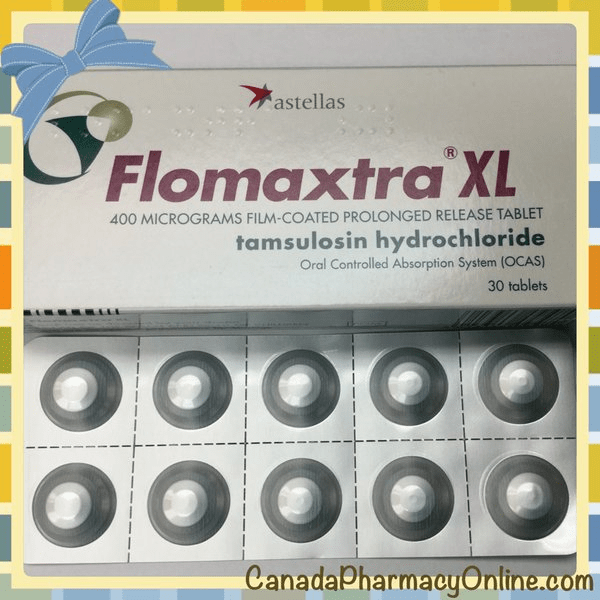 Flomaxtra XL, is a brand name for the generic drug tamulosin HCI manufactured by Astellas Pharma Ltd. in the UK. It contains the active ingredient tamsulosin hydrochloride which is an alpha blocker. It is used for the treatment of benign prostatic hyperplasia (BPH). Flomaxtra xl is available in film-coated extended release tablets 400 microgram. We sometimes stock other generic versions of Flomax come from different manufacturers around the world. If you purchase medications online, be sure you are buying from a reputable and certified online pharmacy. Call our toll free at 1.866.920.3794 and speak to our customer service representative.